I will never forget the day I had my first migraine. I was 25 years old and was a teacher. It was a sunny day, and I looked out of the classroom window and suddenly, a strange visual disturbance began. It was as is if someone had taken my picture with a flash camera – you know those squiggly, flashing lines you sometimes see after someone takes your photo? It was like that, and it lasted about 30 minutes. After it disappeared, I was slammed with round two: the worst headache of my life. I was sent to an eye doctor, who then referred me to a neurologist. A few exams and tests later, and it was confirmed: I had experienced a “migraine with visual aura.” The scientific term for this kind of visual disturbance is “scintillating scotoma”. The neurologist prescribed a drug called Hydrocet for the pain, and a drug called Propranolol to use to prevent the migraines from occurring. Hydrocet is an “analgesic combination” drug – it contains acetaminophen and hydrocodone, both of which carry the risk of serious side effects (acetaminophen can cause serious and sometimes fatal liver problems, and hydrocodone is an opioid). Propranolol is a beta-blocker that can reduce the severity and frequency of migraine headaches. The list of possible side effects associated with the drug is lengthy and alarming, so I decided not to take it. I took the Hydrocet when my second migraine occurred. A third migraine arrived several days later. I wondered if the drug was causing MORE headaches. Was this going to be my life? The neurologist wasn’t much help when I went for a follow-up visit and asked about other remedies. I decided to stop taking the Hydrocet and started learning more about migraine and investigating ways to prevent them from interfering with my life. As if suffering from migraines isn’t enough, once the pain is gone, the “migraine hangover” follows. Important note: If you experience what you believe are migraines, but you have not been evaluated by a healthcare provider, doing so is important. The symptoms of migraine can also be symptoms of serious (and possibly life-threatening) health issues including TIA (“mini stroke”), stroke, and aneurysm. If you have been diagnosed with migraine and your patterns change, or if new or disturbing symptoms develop or your migraines become more severe, it’s important to see your doctor to be sure that something more serious is not the culprit. Let’s take a look at what migraines are, how to prevent them, and how to treat them. Migraine is a neurological condition that can cause multiple symptoms and is frequently characterized by intense, debilitating headaches. A migraine is the 3rd most prevalent illness in the world. Nearly 1 in 4 U.S. households includes someone with a migraine. Amazingly, 12% of the population – including children – suffers from a migraine. Migraines tend to run in families. About 90% of migraine sufferers have a family history of a migraine. While most sufferers experience attacks once or twice a month, more than 4 million people have a chronic daily migraine, with at least 15 migraine days per month. More than 90% of sufferers are unable to work or function normally during their migraine. It’s typically a severe throbbing recurring pain, usually on one side of the head. But in about 1/3 of attacks, both sides are affected. In some cases, other disabling symptoms are present without head pain. Attacks are often accompanied by one or more of the following disabling symptoms: visual disturbances, nausea, vomiting, dizziness, extreme sensitivity to sound, light, touch and smell, and tingling or numbness in the extremities or face. About 25% of migraine sufferers also have a visual disturbance called an aura, which usually lasts less than an hour. In 15-20% of attacks, other neurological symptoms occur before the actual head pain. Attacks usually last between 4 and 72 hours. Migraine attacks typically go through four phases, but it is possible to have attacks which skip one or more phases. It is even possible to have a migraine attack without the “headache” phase. This type of migraine is referred to as acephalgic migraine – also known as “silent” migraine. During this phase, taking action may help you lessen the severity of an oncoming headache. Minimizing or avoiding other triggers and practicing meditation and other relaxation techniques may help you prevent the headache entirely. The term “aura” refers to recurrent attacks of neurological symptoms that can include visual, sensory, speech, motor, or other central nervous symptoms. Some people with migraine experience aura as a distinct phase in the progression of their migraine attack. Like other phases, aura doesn’t necessarily occur during every migraine attack in those who experience them. The visual disturbances I described at the beginning of this article are an example of an aura. Not everyone with migraines experiences aura. Even those who are prone to them do not necessarily experience aura during every migraine attack, and sometimes, a headache does not follow the aura. People experiencing aura might endure periods of blurry vision or vision loss, or the appearance of geometric patterns, flashing or shimmering lights, or blind spots in one or both eyes. These symptoms usually gradually evolve over at least 5 minutes and can last for up to 60 minutes. Aura can serve as a warning that pain may be on the way, sometimes it allows people living with a migraine to treat the migraine early enough to stop it before it progresses to the headache phase. Alice in Wonderland Syndrome: a rare form of migraine aura in which the distinctive symptom is a type of metamorphosia, a distortion of body image and perspective (which people living with a migraine know while it’s occurring is not real). “Alice in Wonderland” syndrome can occur at any age, but it is more commonly experienced by children. Migraine headache pain can range from mild to severe. It can be so intense that can be debilitating. The pain varies from person to person, but most describe it as pulsating, throbbing, or pounding. Headache pain that is unilateral (on one side). This pain can shift to the other side, or become bilateral (on both sides). Although migraine pain can occur at any time of day, it is not uncommon for sufferers to be awakened by the pain. In adults, the headache usually lasts from 4 to 72 hours. In children, it can last 2 hours. The pain is worsened by physical activity. Nausea and/or vomiting may occur. Also called the “migraine hangover,” this phase occurs in most people who experience a migraine. This phase can last for hours – or even days. Engaging in relaxing activities like meditation, yoga, a walk outside, drinking water, and avoiding stress can help you recover from migraine attacks. Migraine causes are the underlying reasons people have migraines. Migraine triggers are factors that contribute to migraine attacks. Researchers have identified possible causes, but they don’t have a definitive explanation. A migraine trigger is anything that brings on a migraine attack. Triggers don’t cause the migraine – they set them off. Following exposure to a sufficient trigger, the genetically primed migrainous brain – cocked and ready – acutely responds by initiating a cascade of clinical and electrical events that clinically are expressed as “migraine”: headache, often accompanied by nausea and sensitivity to light and sound. Different things trigger migraines in different people. And the same trigger doesn’t always provoke a migraine in the same person. Sometimes it only takes one exposure to one trigger to provoke an attack, sometimes it takes multiple exposures, and sometimes it takes exposure to more than one trigger. What serves as a trigger may also serve as a treatment – caffeine is a good example of this paradox. Hormones: Menstruation, ovulation, menopause, pregnancy, birth control pills, and hormone replacement therapy. For some women, migraines occur around their menstrual cycle and mid-cycle. For others, birth control pills are the trigger. Caffeine: While it can trigger a migraine in some individuals (and overuse can cause a migraine progressively to worsen in some people), others find that a little caffeine actually helps alleviate symptoms during an attack (and caffeine is in an ingredient in some headache medications). Alcohol: Red wine is often blamed for an alcohol-related migraine, but some research suggests other types of alcohol are equally or more frequently the cause. Alcohol can provoke two types of headaches in migraine patients: an attack within a few hours, and a hangover headache. Foods and additives: Artificial sweeteners (like aspartame), citrus fruits, chocolate, certain cheeses, monosodium glutamate or MSG (found in canned foods, processed foods, or Asian foods), nitrates (found in processed meats like deli meat, hot dogs), tyramines (found in fermented foods, aged cheeses, freshly baked yeast bread and cake), nuts, fasting, and skipping meals. Dehydration: For some, even mild dehydration can be a trigger. Light sensitivity: This condition is called Photophobia, and it is actually one of the criteria used to diagnose a migraine. Bright lights, flashing lights, flickering lights, bright sun, glare, natural light, and fluorescent light all can trigger a migraine in people with photophobia. The key is to understand your individual migraine triggers and how close you are to your attack threshold, and avoiding triggers during vulnerable times. Let’s say one person’s trigger is red wine. If he or she drinks a few sips of red wine, they may not reach the threshold to get a migraine. But if they drink a full glass of red wine and missed a meal that day, the chances of reaching that threshold are higher. Keeping a migraine diary can help you identify your triggers and patterns, and can help you develop a migraine prevention plan. And, it can help your healthcare provider provide better care for you as well. Conventional treatment of a migraine will depend on your age, how often you have migraines, how severe they are, your other symptoms, other health conditions you have, and other medications you take. There are various prescription medications that are given to prevent migraines and for pain relief. Some migraine sufferers choose to use over-the-counter pain medications, and some seek natural and alternative remedies. A risk associated with using pharmaceutical drugs for migraines is rebound headaches, as mentioned earlier in this guide. As a long-time migraine sufferer, I’ve learned that the best way to a manage migraine is to prevent them from happening. To do this, I had to become aware of my triggers and find a way to avoid them or reduce their severity. Identify your triggers. Keeping a migraine diary can help you figure out what your triggers are, and will help you avoid them. Managing Photophobia (light sensitivity): Wearing sunglasses is helpful when you’re outside. Carry a pair with you at all times. If bright light, glare, flashing lights, or bright sunlight trigger your migraines, you can avoid them – or you can do things to reduce their impact. Glare from computer screens is one of my known triggers, for example, so upon recommendation from a fellow sufferer, I bought a pair of blue-light and glare-blocking glasses. I wear them anytime I’m looking at a screen (my laptop and my phone), when I drive at night (glare from street lights is another trigger for me), and when I shop in stores with bright lighting. I have not had a migraine since I started wearing them about three months ago. Stay hydrated. Carry a water bottle with you at all times, and keep track of your fluid intake. If you have trouble drinking enough water every day, a bottle with time markers like this one may help – it holds 64 ounces of water. Sometimes a migraine attack can be stopped in its tracks by simply drinking a glass of water. Eat healthful meals. Don’t skip meals. And try to minimize (or completely remove) foods and drinks that you have found trigger migraines. 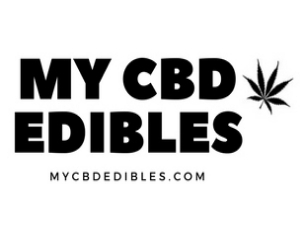 Consider CBD: Cannabidiol (CBD) is one of over 100 compounds found in cannabis plants that belong to a class of naturally occurring, biologically active chemical constituents called cannabinoids. CBD is non-intoxicating and has remarkable therapeutic potential. Cannabinoids are a diverse set of chemical compounds that bind to special receptors in the human body that make up what is known as the endocannabinoid system. Studies suggestthat CBD can reduce inflammation, has pain-relieving properties, and can help prevent a migraine. Be careful with caffeine. In some people, caffeine triggers migraines, and in others, it helps to alleviate them. Pay attention to how caffeine affects you, and adjust your intake accordingly. Catch enough Zzzs: For a long list of things you can do to naturally improve the quality and quantity of your sleep, please see Six (More) Reasons to Get Better Quality Sleep. Manage stress. Stress is a major trigger for migraines. Good nutrition can help. Believe it or not, there are foods you can eat that have shown to have stress-reducing properties. There are herbal remedies that have stress-reducing properties as well. Supplements that promote relaxation and relief of tension like Xivvium may also help. Try some aromatherapy: Aromatherapy has been shown to have a profound impact on lifting moods and many say that it helps them manage migraines. Dietary supplements for migraine prevention: Magnesium, Vitamin B2 (riboflavin), and Coenzyme Q10, all have shown some promise in the prevention of migraines. Hopefully, the information we have provided here will help you prevent and better manage your migraines. As with any health condition, if you experience migraines, please consult with your healthcare provider for guidance. Sometimes headaches are a warning of something far more serious going on. Here is a list of precautions from the Mayo Clinic.